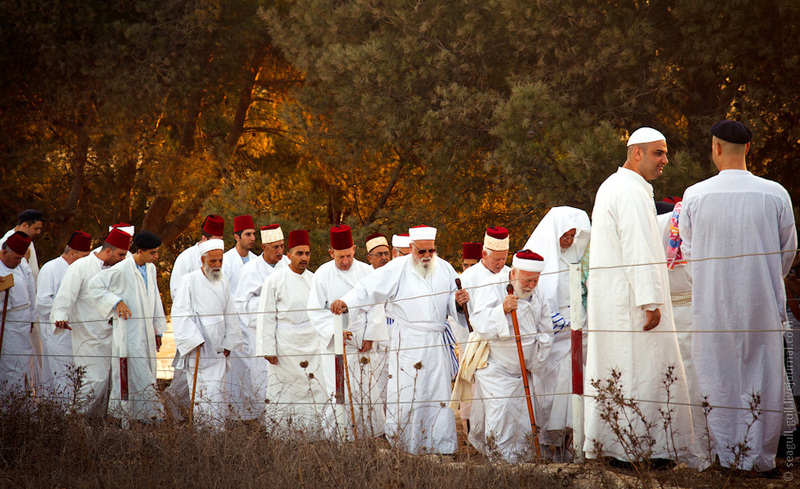 All the Samaritans in the world (there are only around 850 of them, and all of them live in Israel) gathered to celebrate the holiday of Shavuot for the mount Gerizim that is sacred for them. As the calendars of Jews and Samaritans are different, Jews have forgotten already about the holiday cakes that they ate, and for Samaritans the party is still going on. 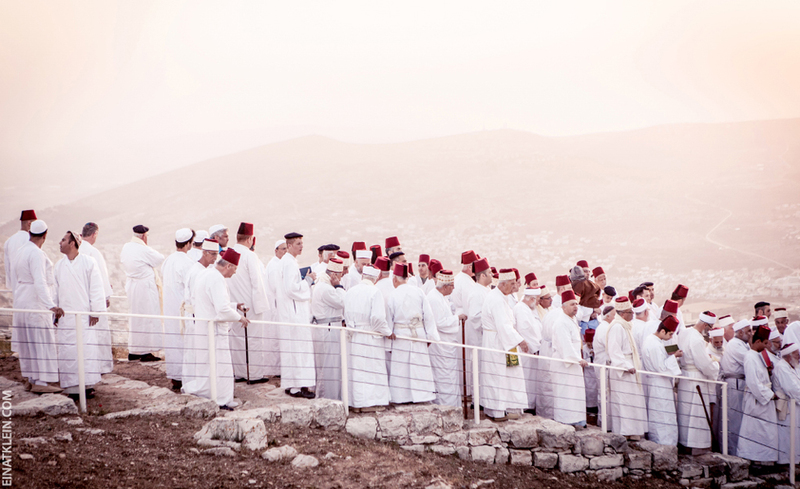 Thrice a year Samaritans ascend the Mount Gerizim (just like Jews in the time of the Temple ascended the Temple Mount in Jerusalem) to recite the special sunrise prayer and get the blessing of the High Priest. 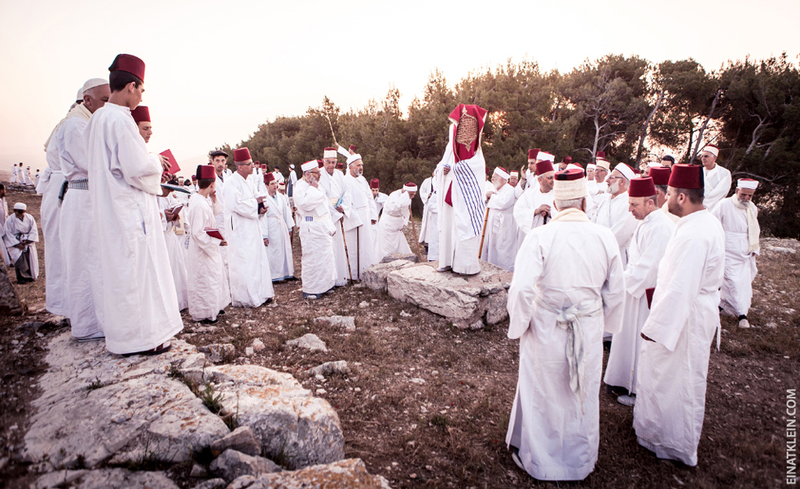 So on Sunday hundreds of men in the festive white clothing went up to the mountain top covered in fog above the flaming city of Schem in order to rise the ancient Torah scroll to the clouds and say ‘Hear Israel!’. 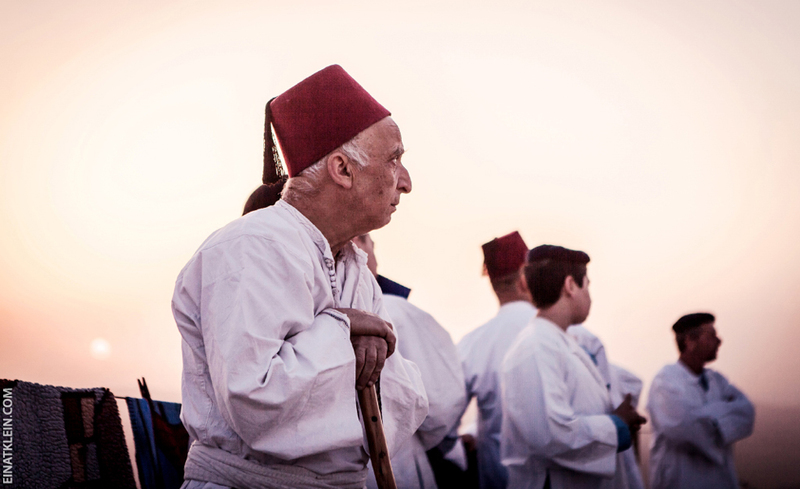 On the night of the 07th to the 08th of June I offer you the opportunity to touch one of the biggest mysteries of the Land of Israel, and join the unique night photo tour to the Mount Gerizim. Our program will begin at midnight. 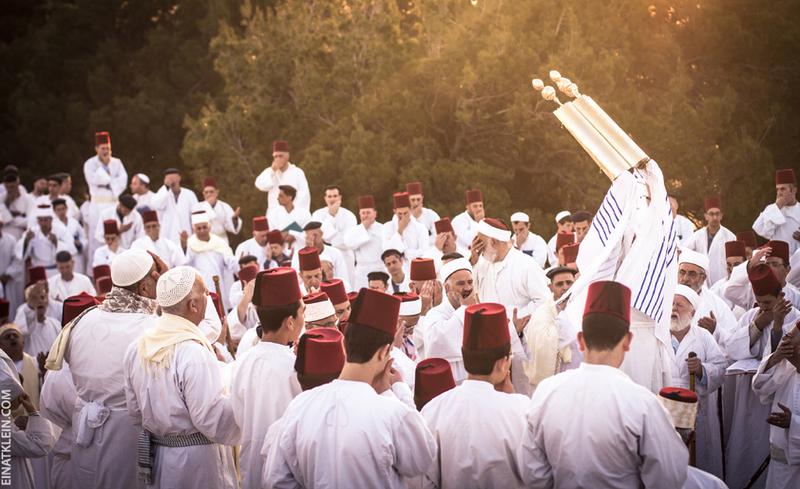 Mount Gerizim will be well lit (weather permitting), it will be a bit chilly in the early morning, wisps of fog will we will sail past us, but this night will be one of the most memorable experience in your life . The first thing that we will do is explore the area, take a small tour and learn some of the history of the Samaritan community. 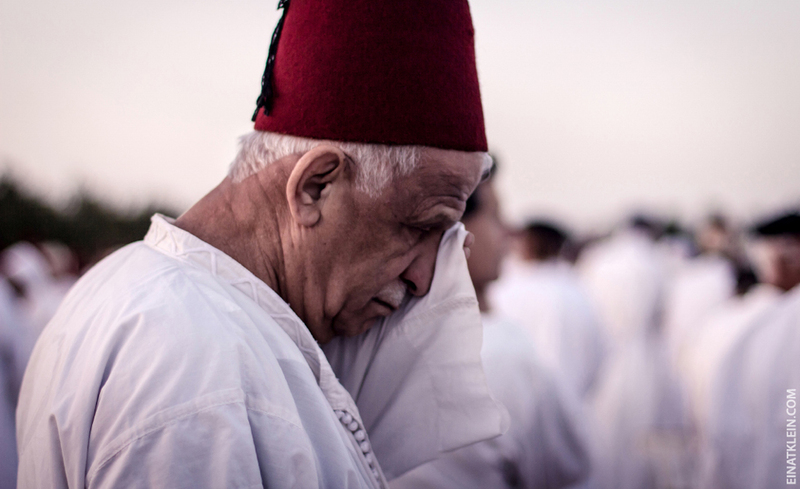 Also at this time, I’ll tell you about the stages of the Samaritan ceremony that awaits for you. The main topics of the photo-workshop will be night shooting and shooting at dawn. We will plan the main stages of the upcoming photo-set, select the point with the best angles for different stages of the Samaritan ceremony, take test shots and talk about the specifics of such shootings, as well as the post-processing of images. By 4 o’clock in the morning we will begin active shooting. The event itself is very dynamic, so we will have to run, crawl, crouch, and even sweat a little bit. 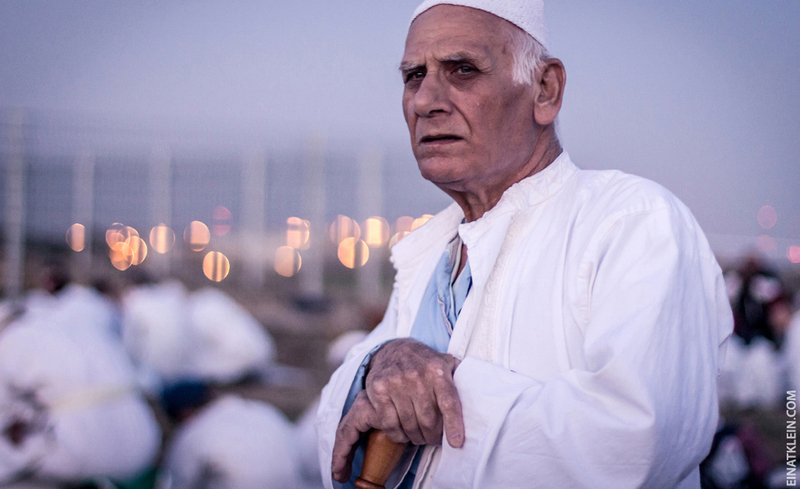 After the completion of the prayer, we will descend to the Samaritan village of Kiryat Luza, where we will be able to take photos of its residents in more modern urban environment and get to know them better. We also will visit the excellent scenic views of Schem and Mount Eyval, Palestinian refugee camp Balata and see them from a bird’s view. Photo tour will end around 8:00 am. 05:30-06:15 – The so-called “golden hour” – the most successful time for shooting at dawn, on this day, in this place. Getting there: in your own cars; I can find a ride for those who need it. All the participants will be sent payment details, photos and a map of the seminar with the point of the venue by email.